We were very fortunate to host multiple visitors on the week of 24-29 November. A hugely successful week of educational workshops, a panel discussion, digital archiving workshop, and visitors from Hong Kong, Sri Lanka, Pakistan, Poland and India. Will recount each activity. Videos posted soon. Thamotharampillai Shanaathanan (Sana) flew in from Sri Lanka. As the former host of the Mobile Library at the University of Jaffna, he was instrumental in our programming. He’s a lecturer himself, and has witnessed firsthand the interaction between the books and the students. Day 1 of the Educational Workshop was for the Students. Originally asked to bring drawing material, the students and Sana ended up sharing opinions and observations about the books. Sana asked the students questions about the books, stating the importance of visual learning and absorbing the material as much as possible. He then chose keywords and asked the students to spend one our in the afternoon forming groups and choosing books based on those keywords. A few worth mentioning: line, nudes, and painting. 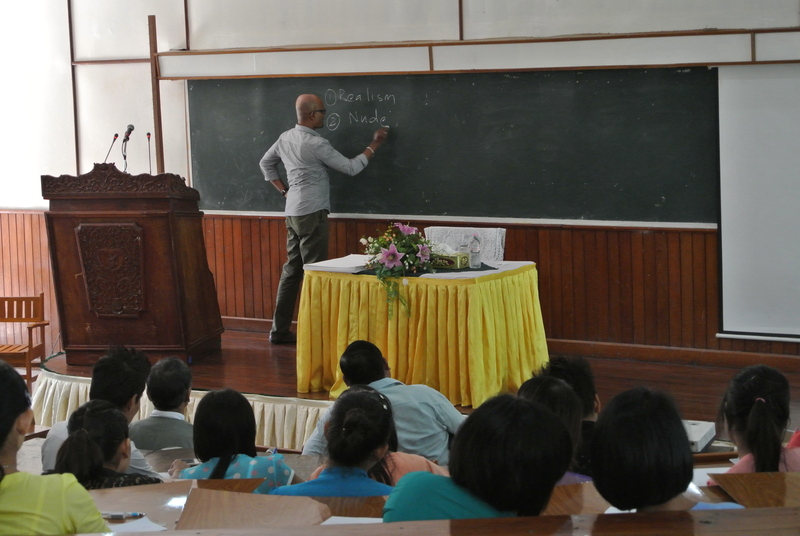 We were also lucky to host Aung Myat Htay as a guest lecturer. Aung Myat Htay is a former student AND teacher at the NUAC and just returned from a 6 month residency in New York City. 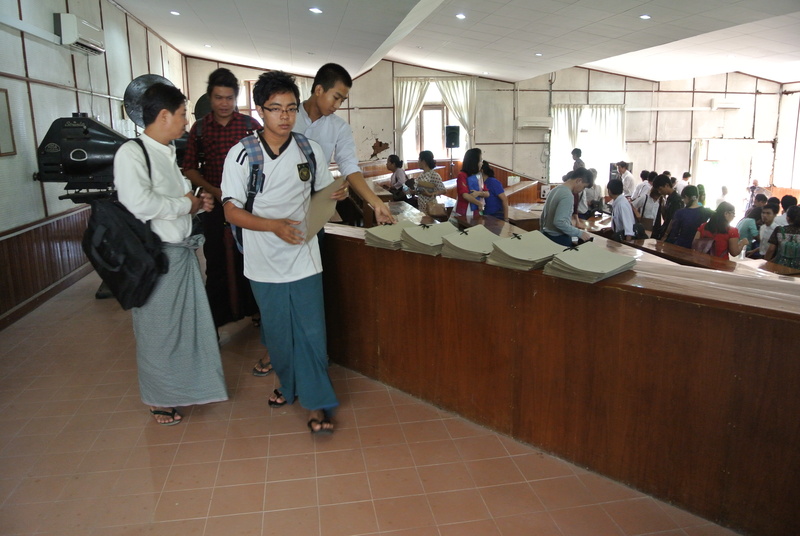 It was invaluable perspective for the students, who often commented that there are no artists in Myanmar like the ones in the Mobile Library books. Far from true, but it is so that the interaction between contemporary artists and the schools is limited. Hence the importance of Aung Myat Htay, who often works in installation, present his work and ideas. 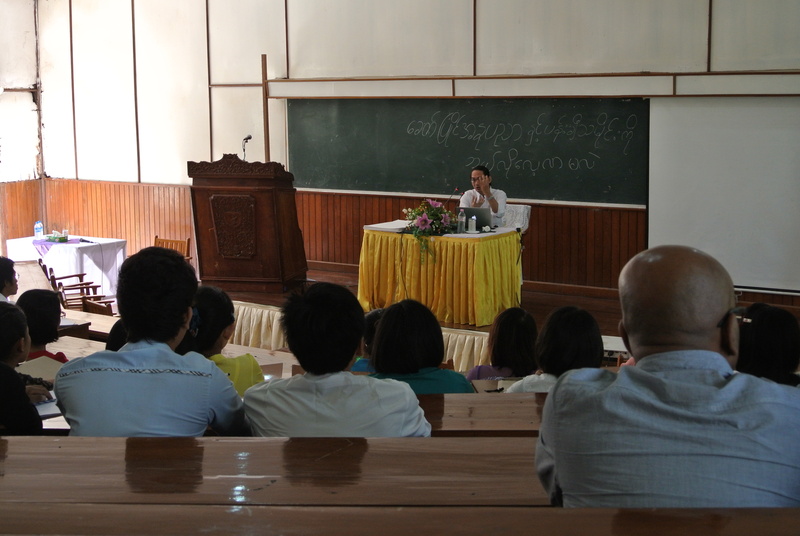 Day 2 was targeted toward the NUAC teachers. Sana presented on his own time as host of the Mobile Library and his own artistic practice. The teachers were extremely interested in how to use the books and shared on their experience “relaxing” in the library, finding out new modes of expression through painting. One particularly important question came from the teachers in general: how do we change our curriculum? We very much hope these workshops helped the students and teachers at the NUAC to have high expectations for their own art educational experiences, and that the Mobile Library has inspired them to push the boundaries of learning. 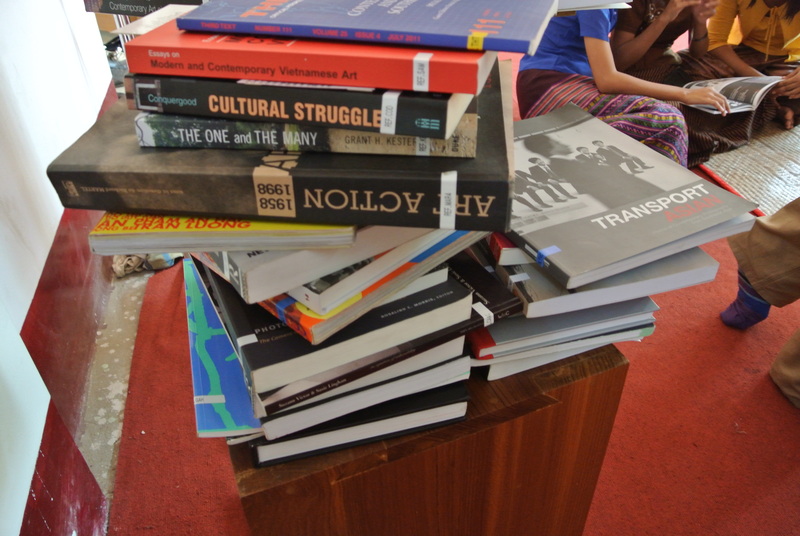 This entry was posted in Uncategorized and tagged Art Teacher - Aung Myat Htay, Location - Yangon, Program - Mobile Library, Subject - Art and Culture, Subject - Art Education, Subject - Art Schools, Subject - Contemporary Art, Subject - News Blog on December 4, 2014 by Myanm/art.